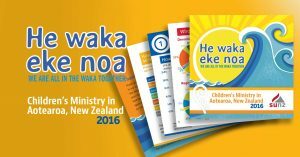 Scripture Union New Zealand conducted a Children’s Ministry Survey in 2016, in which they investigated what is happening in children’s ministry across New Zealand. They gathered responses from a cross section of churches around the country, different regions, different sizes and different denominations. Click here to download this free resource which will give you an overview of the survey. Next Generation DVD – Are you losing us? Share this powerful and challenging DVD with your church leadership and congregation, and reflect on and pray about what God is saying to you by allowing two minutes of silence to follow the showing. Next Generation can be purchased from the Kids Friendly office for $10 or can be accessed from www.cmn.org.au. Click on Next Generation Project at the top left corner to open the page with the options for downloading. The pdf “Users’ Guide” gives great tips for effectively using this amazing resource, and it’s packed full of excellent children’s ministry resources and articles too. New Zealand used to be known as a great place to bring up kids. Sadly, our reputation has slipped in the last few years. According to UNICEF reports, New Zealand is now near the bottom of the class of developed nations when it comes to our children’s wellbeing. As the family of God, the Church has a responsibility to protect and serve the vulnerable, including children. As Jesus said, (Matthew 25:40). Click on the Caring For Children study, and explore more resources for Speaking Out.